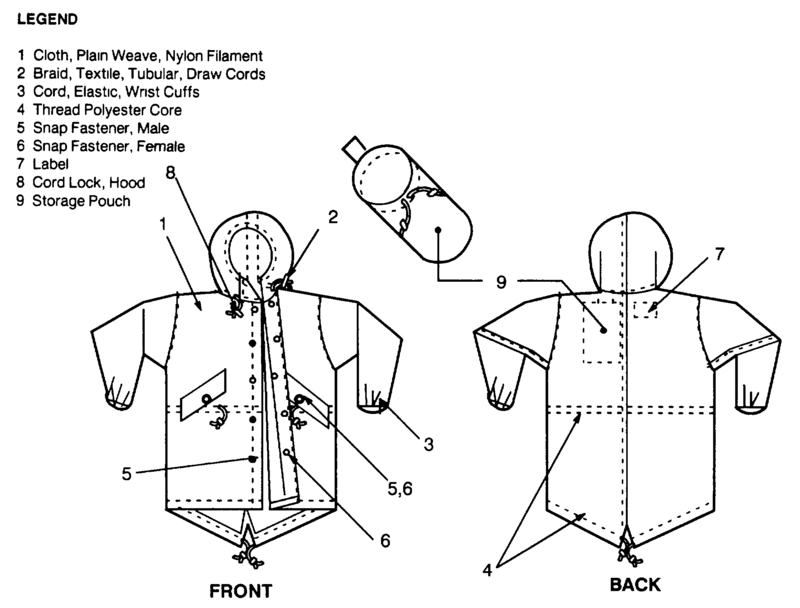 The parka is a roomy garment having hand openings with flaps, snap fastener front closure, elastic wrists, and drawcords at waist, hood and bottom. 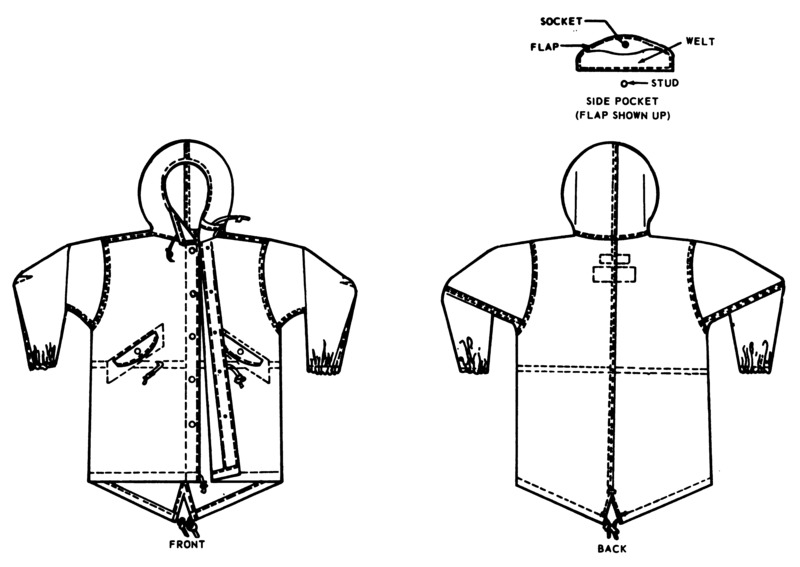 The parka is fabricated essentially of permeable cotton oxford cloth conforming to Type I, class 1 of MIL-C-10859 (later replaced by cotton/nylon oxford cloth, quarpel treated, conforming to class 1 of MIL-C-3924). Later model parka, conforming to MIL-P-0010809H(GL) and A-A-55317, has cord locks for the hood drawcord, one snap fastener at the base of the hood, a self-storage pouch with a tab attached to center back neck. The parka is made of a nylon filament, plain weave, lightweight cloth conforming to MIL-C-44431. The parka is compatible with ECWCS. TM 10-8400-201-23. 1970. Chapter 10.